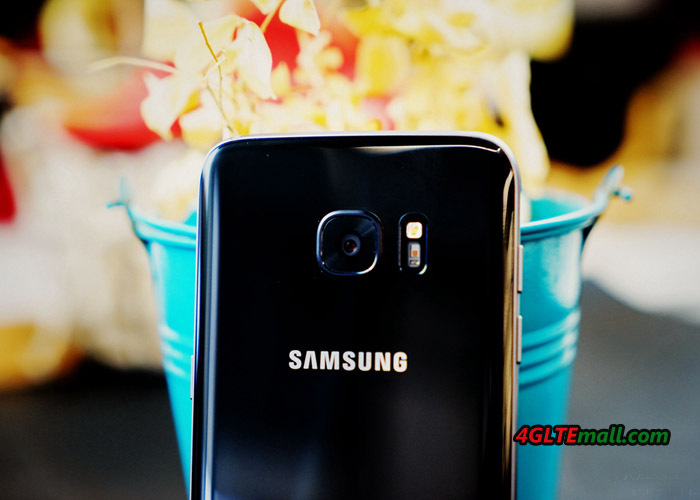 Samsung Galaxy S7 edge is the successor to the successful Galaxy S6 edge since March 2016. The design has been changed compared to its predecessor only cautiously in the art, however, there is considerably more extensive changes. The battery is larger, there is a slot for memory cards and the camera should provide a better picture quality. The most recent processor including fast LTE Advanced modem has been installed. As the conclusion comes out after two weeks of use, you can read details in this review. The Samsung Galaxy S7 edge is in a smart and supplied black cardboard. This is expanded laterally and has higher quality than the cardboard, which Samsung has used in recent years for its smartphones. Even on the appearance, there is a small surprise: Samsung packs a MicroUSB to USB adapter, so you can easily transfer data from an existing smartphone to the Galaxy S7. Also featuring: USB charging and data cable, manual and a quick-charge power supply, which has an output of 5V/2A or 9V/1.67A. Wireless charging supports Galaxy S7 edge well, but more on that later. The first impression is very good: the Galaxy S7 edge has an extremely high-quality and noble, the workmanship is excellent. 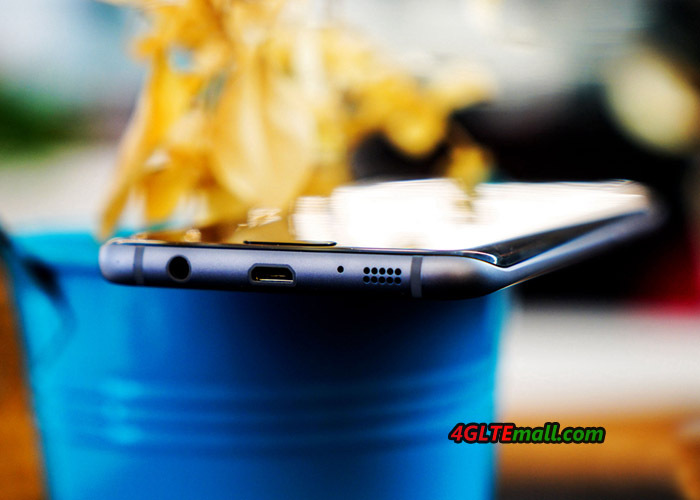 While the Samsung Galaxy S6 edge are front and back covered with glass and the frame is made ​​of steel, but the S7 edge is not as sharp and is therefore more comfortable in the hand. The display is slightly larger than the normal Galaxy S7 and impressed by an outstanding display of 5.5 inches. 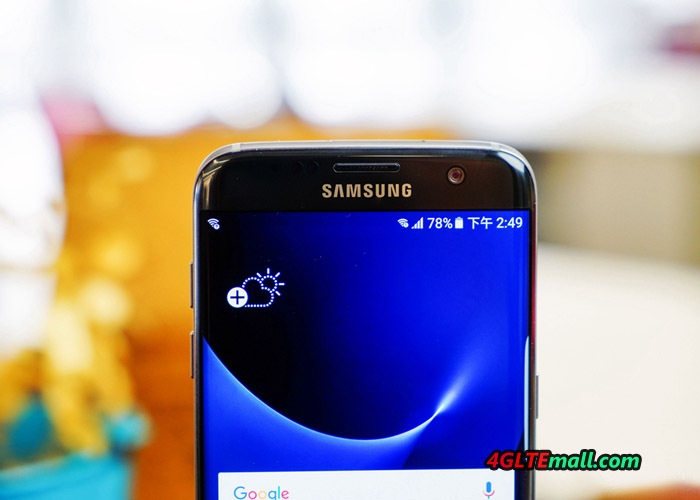 Samsung Galaxy S7 edge has a 5.5-inch Quad HD Super AMOLED display installed, which is down slightly rounded on both sides. Not only the first impression of the display is very good, even after some time of use you will always be delighted with the quality. Color display, brightness, viewing angles, black level – at all important criteria, the display of the Samsung Galaxy S7 edge is at a top level. In my opinion it currently gets here the best smartphone display without ifs and buts. A new feature is always on display compared to the previous generation. The time, date, SMS and battery status are clearly visible shown on the display when the device is in standby mode. It’s a bit annoying that the display to a different location every few seconds. In addition, enhanced functionality would be welcome, that allows even small notifications to display. The Galaxy S7 edge display is still just a gimmick in my opinion, albeit an extremely chic which is worth 100 euros extra thoroughly. Samsung has introduced a few improvements to the sidebar, so you can start quickly, for example, apps or call favorites. These features are really to use but probably very few and in theory this would also no “edge” possible. 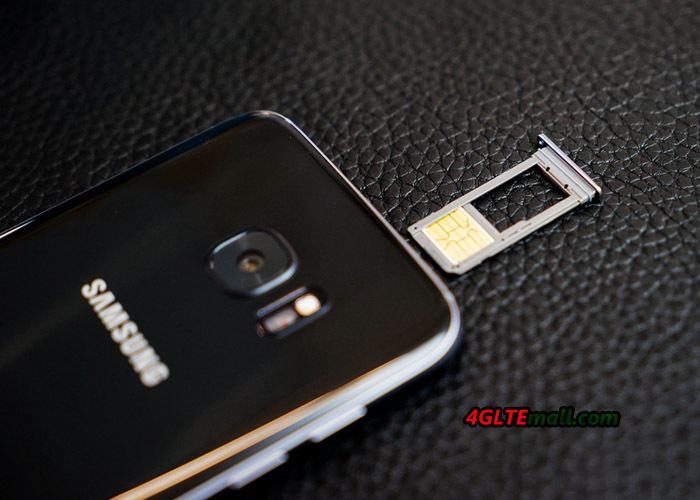 The Samsung Galaxy S7 edge comes with 32 gigabytes of internal memory, this is expandable using MicroSD memory card. The main memory (RAM) is 4GB in size and ensures that many programs can be run simultaneously, even when using multiple tabs in the browser almost never needs to be recharged. A octa-core processor Exynos is used, which works very fast. There is never stuttering or commemorative seconds in the Android 6.0 operating system. The modem reaches speeds of up to 450 Mbit/s in the downlink and up to 50 Mbit/s in uplink via LTE Advanced CAT9. At present, in many countries, maximum of 300 Mbit/s LTE network is available, but with the Galaxy S7 edge has definitely a future-proof device in his hands. The internet connection is very fast and the reception in the LTE network(800 and 1800 MHz) is very good. The camera of the Samsung Galaxy S6 Edge was already immediately convincing, the picture quality was already really good. In Samsung S7 edge now, it has a 12 megapixel camera instead of a 16 megapixel camera built-in, for the individual pixels have become larger and get more light. The photos result is even better in low light conditions. The aperture of F1.7 provides more light on the sensor. Overall, the image quality is really very good, however, it bothers me that the sensor now in the aspect ratio 4: 3 is working and not in 16: 9 aspect ratio. If one would like 16: 9 pictures, so the resolution is almost halved from 16 megapixels to about 9 megapixels compared to the Galaxy S6. Even videos can record very well with the Samsung Galaxy S7 edge. The highest possible resolution is UHD, alternatively also provides Full HD at 60 fps, to create, for example, slow motion shots. As already talking about the Samsung Galaxy S6, the battery in the S7 edge is permanently installed and is not changeable by the user. 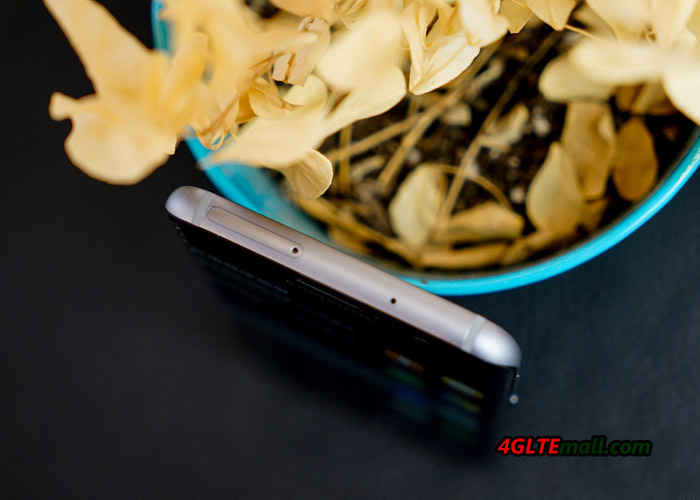 The capacity is 3600 mAh, which is enough for a whole day with heavy use. If one uses the smartphone only moderately, so two days are certainly possible, but the S7 edge Calls downright for intensive use on, so it will remain for most users at a day Crib. Samsung promises that the battery is completely fully charged within 100 minutes thanks to quick charging. In fact, the charge is very fast! Particularly interesting is the Wireless Quick Charging Function. With a matching wireless smart charger, such as the Choetech CHOE-T511Q , the S7 edge can charge very quickly without USB cable. This is of course much more convenient than ever charging through the cable. The voice quality when making calls is very good. 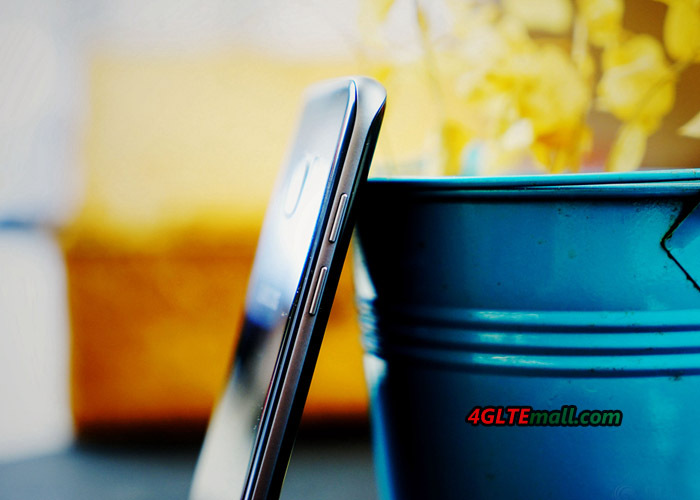 Depending on the service provider the Samsung Galaxy S7 edge supports also HD Voice and Voice over LTE (VoLTE). 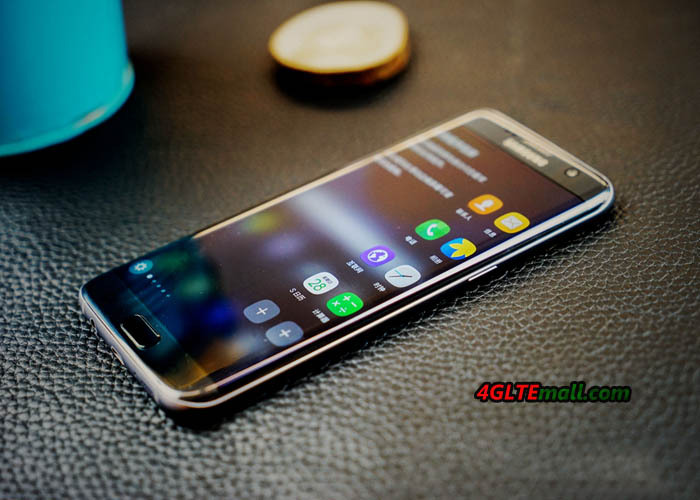 These times, you do not need a device with network operator branding, the Galaxy S7 edge activated VoLTE automatically if the provider supports the service. The result is very short compared call setup times, as a test shows. Samsung has launched the Galaxy S7 edge as an excellent smartphone on the market. Compared to Galaxy S6 edge from last year, although only details have been improved, but that’s why the S7’s edge is currently the best smartphone without doubt on the market. The camera offers a good image quality, the display is excellent and all the technology is at a very high level. I personally interfere only two points: the device is very large, hardly controllable in one hand and in the some versions, Samsung has the dual SIM function deactivated. 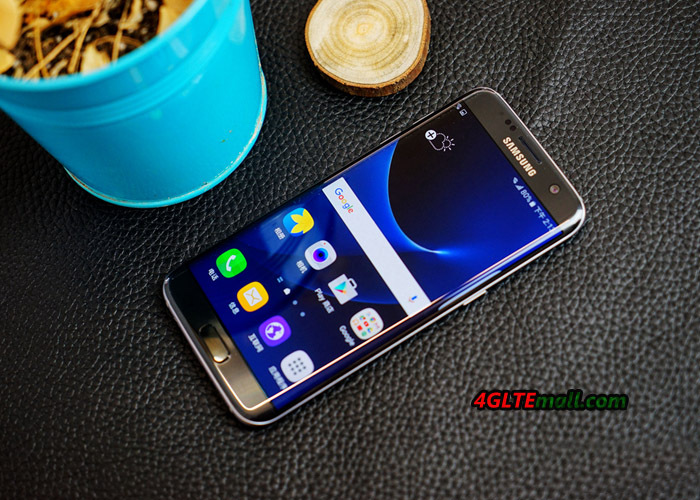 Overall, the Samsung Galaxy S7 Edge is really a very good smartphone worth to have one.